Looking for the best dentist in Santa Barbara? You can click around on the computer or watch for postcard ads in your mailbox. Even then, the outcome is shaky at best. 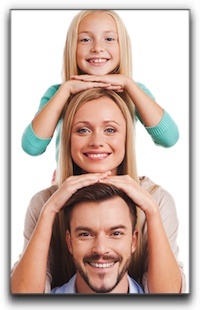 Finding the best dentist in Santa Barbara truly hinges on what you are looking for. Are you looking for consistent, professional evaluation? Are you looking for an honest, straightforward diagnosis and treatment proposal? Are you looking for affordable dental care without a background agenda from a dentist in the Santa Maria, Goleta, or Montecito areas? Don’t let the myriad of dentists throughout California overwhelm you. Today Dr. Jon King offers 3 reliable steps for finding a dentist who will expertly serve your family’s dental needs in comfort and style. Pick up the phone: 805-687-1548. Contact our caring, family-oriented staff at King Dental Group for your best appointment of the year, a dental checkup with Dr. Jon King. Our office offers competitive pricing to go with professional, educated experience. The needs of our patients run the gamut. From holistic and bioaesthetic dentistry to family dentistry, from Invisalign clear braces to Trudenta TMJ treatment. Providing quality services can make your cosmetic dental treatment experience fast and simple. Make the appointment. Researching general and cosmetic dental practices starts with a consultation. An evaluation of what your teeth need, what your smile could use and what your budget can afford are all key pieces of the puzzle. Located here at 1919 State St Ste 205 in Santa Barbara, California 93105 we are equipped and proud to handle bioaesthetic dentistry, family dentistry, Crozat orthodontics and everything in between. Meet the good doctor. Dr. King has a friendly and comfortable chair side manner, explains concisely and fully the procedures and possibilities, and performs superb dental work day in and day out. Expect to see the metamorphosis you want. Expect to communicate with a professional. Expect distinctive, talented service. Finding a dentist that will bring a smile to your face and put you at ease is just a click away at https://www.kingdentalgroup.com/.